Well, there's certainly no argument this week that we've enjoyed the best of summer weather. After a somewhat atypical dismal, damp July and August, followed by an abysmal start to September, Mother Nature has given us a gift. For several days she has blessed us with nothing but sunny, bright skies and balmy temperatures, as well as the promise of more to come. If, that is, we can trust the meteorologists' forecasts for our area. Which I rarely do any more. After sitting indoors recently, watching The Weather Network's current conditions showing clear skies while outside the world was drowning under a deluge, (or on many other occasions the reverse) I'm an admitted cynic about these predictions. For this reason when I keep hearing that The Farmer's Almanac is forecasting a vicious winter here I'm not too worried. Yet. Since our weather experts seem to have trouble telling us what's going to happen on any given day, I just really have little faith they can nail it that far ahead. If they do, so be it, but I'm not about to worry this far ahead that they've got it right. Other people, however, seem ready to start stewing. On a glorious autumn day, one replete with all the things we typically enjoy in summer, plus the best of the new season, there was yet one more person who found it necessary to dampen the day by reminding me of the dire predictions for a long, cold, stormy winter. I let them know though that for now I've chosen to be hopeful instead. Hopeful that we will have many more days of this kind of weather before the snow flies. Hopeful that this season will linger like a gentle kiss goodbye. Hopeful that we feel only the nip of winter rather than its bite. Autumn can be such a pretty time of year I don't want to spend it thinking that Old Man Winter is going to have a temper tantrum when he arrives. Instead, I think it best to celebrate this glorious season. There really is a lot to love about the transition between the sunny heat and the bitter cold — the bold hues of the changing landscape, fewer bugs and sunny days with no humidity. 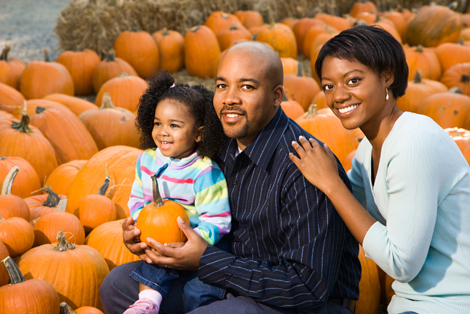 For these reasons, and others, autumn is the chosen season in our family for many things, including being the prefect time of year to update our family portraits. With the welcome addition of spouses and babies to our clan, as well as the changes that happen over time to all of us, new pictures need to be done with a certain amount of regularity. Thus, a decision was made some time ago that we would have family portraits taken every two years. They are always outdoors and always in the fall. We have used our yard, our daughter's woodlot, the beach and a local conservation area as the setting. Discover the Beauty of Autumn in Glorious Photos from Vital Imagery Ltd. Sometimes it really does seem to have happened in the blink of an eye. A day, a week, a month, passing by with such swiftness as to make you dream of ways to hang on, to slow things down. Happy moments arrive and before we know it they become pleasant memories. It's with this somewhat sentimental view that I turn my eye to fall's imminent arrival. Having attained a perfectly nice little burn under late summer's blazing sun this past weekend, it was almost possible to ignore the chill that has seeped into the evening air, or the shortening hours of daylight. Long walks at the lakeshore, wining and dining with family and friends on the deck, are also experiences that cast a spell, ones that delude us into imagining we are not experiencing summer's twilight. There is one facet, however, to which it's really difficult to turn a blind eye. While out for a cruise this past weekend in our beloved 1967 Dodge, I noticed a bank of trees at the side of the roadway that had begun their magnificent transformation to autumn. Glints of sunlight danced off the foliage as shades of burnished orange, cheery yellow and fiery crimson popped against the cerulean sky. It was a breathtaking moment quickly followed by a second when the realization struck that with this spectacular show we could no longer deny autumn was on its way. It's the promise of this performance from Mother Nature that makes the upcoming season palatable for me now. 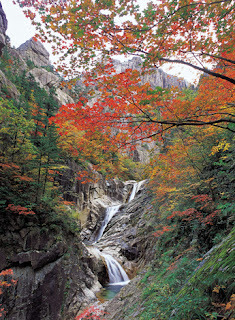 However, as a youngster, born in September the fall was a delightful time of year. There was the excitement of heading back to school followed by our rural community's annual fall fair. Visions of candy floss and caramel apples, roller coasters and ferris wheels filled daydreams. But it was something far less superficial that lifted our energy, that occupied countless of autumn hours, that exemplified childhood. Rustling our way home from school through the detritus left by nature's summer shedding, we ran, kicked and laughed. 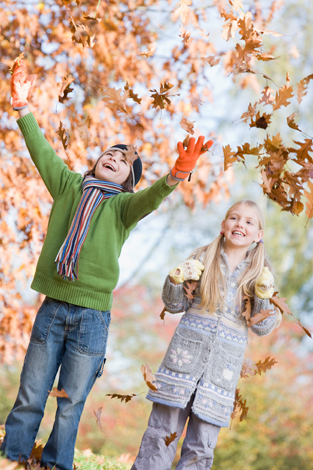 Plowing our way through piles of colourful leaves, burying ourselves under the crispy colours or tossing handfuls in the air, were welcome childhood pastimes that chased away any doldrums over summer's loss. As an adult though, it takes a lot to get excited over this particular seasonal transformation. 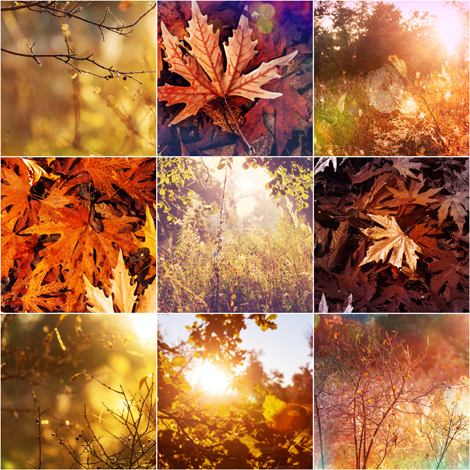 While the first kick through fallen leaves can stir quiet memories of youthful bliss, they are short-lived as they also serve as a reminder that hours of raking will follow. It might have been fun when called upon by Mom and Dad to take on this chore for a time, but it's worn thin over the passing years. Since winter's chill and bluster have long ago lost any charm for me, autumn, as its predecessor carries with it a certain ominous foreshadowing. Despite an appreciation for its incredible beauty I can't help but feel a touch forlorn. But then a drive on a bright, clear fall day, rubbernecking right and left to take in all of the magnificent foliage is sure to lighten the spirit.